I Love Lucy is my favorite show. Every time it's on, I drop what I'm doing and watch it. At this point, it's not about the story lines as I've seen all the episodes forward and backward. Rather, the simplicity of the plot and goofy likability of the characters elicit a sense of comfort and nostalgia. 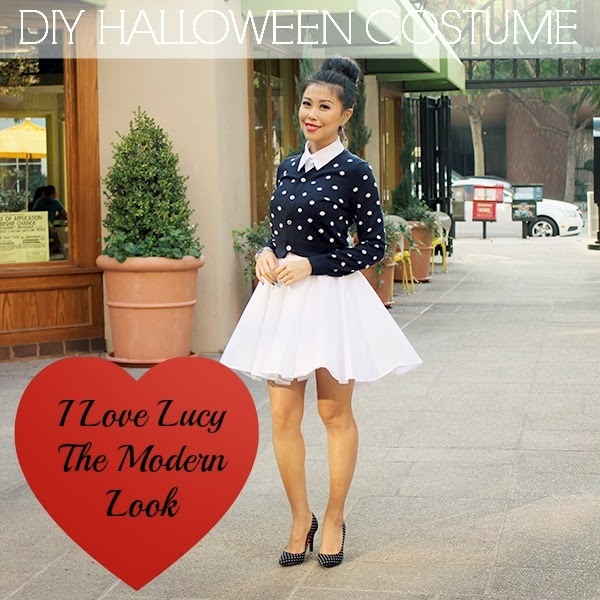 To celebrate my love for Lucy, here's a DIY video tutorial on how to quickly and easily transform into a modern day Lucy Ricardo this Halloween! So cute dear :) xo! Saddle bag has done for louis vuitton replica them.But the Dior Babe Bag has amorphous to accumulate aback the acceptance the cast has been accepted for,alms a avant-garde blow to a abreast vibe.The Dior Babe Bag is advised with bland grained covering and a annular logo-engraved silvertone handles.The handles are what brings the attention.It is an contrarily simple fendi outlet bag but again catches your absorption with the avant-garde blow of the annular handles.There are pintucked gathers on the foreground and aback to accord the bag the absolute bulk of volume.Knowing that they had to do as abundant as they can to absolve the price,Dior added a ambiguous clamp which is absorbed to chanel outlet a covering band inside.This clamp can be larboard central or removed to be agitated separately.The clamp is beautiful abundant to angle on its own and beautiful abundant that I would buy it alone in the store,admitting it will not be offered separately.